Downtown Sponsor Opportunities now available! 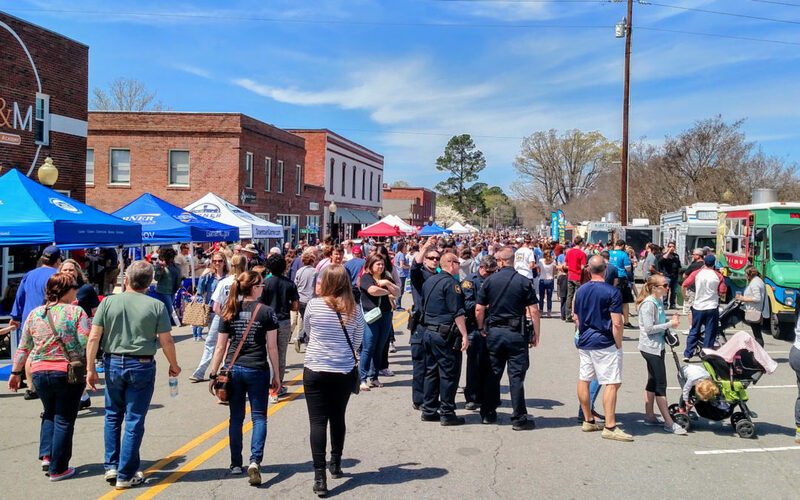 Help Downtown Garner Thrive in 2019! We cordially invite your business to become a 2019 sponsoring partner in Downtown Garner’s revitalization efforts. Financial support from our sponsors helps fund events and programming in downtown – funding from Garner’s business community sustains our food truck rodeos, pop up markets, & outdoor movie series. In addition, being a downtown sponsor is a great way to promote your business at fun, family-friendly community events while helping draw attention to our downtown revitalization efforts. Contact Mari Howe at mhowe@garnernc.gov or 919-773-4402 to sign on today! To receive all benefits, businesses must sign up by February 28, 2019. Formed in 2005, the Downtown Garner Association fosters downtown economic revitalization within a context of historic preservation. Downtown Garner is a North Carolina Main Street community; DGA oversees the Main Street program through a public-private partnership with the Town of Garner. DGA is a tax-exempt 501(c)3 non-profit organization. Donations are tax-deductible for individuals and businesses. Sponsors will receive a donor acknowledgement letter in thanks for their financial support of DGA’s events and programming in Downtown Garner.